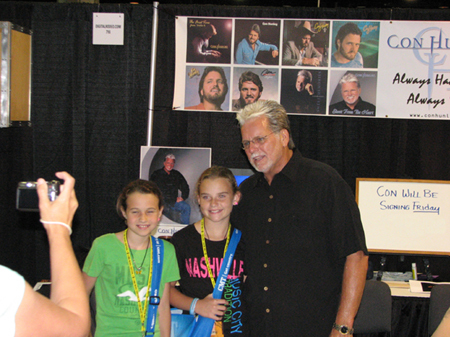 The doors were opened to another excited crowd of country music fans here at Fan Fair Hall on this second day of CMA-Fest 2010, and shortly thereafter Con makes it to his booth. 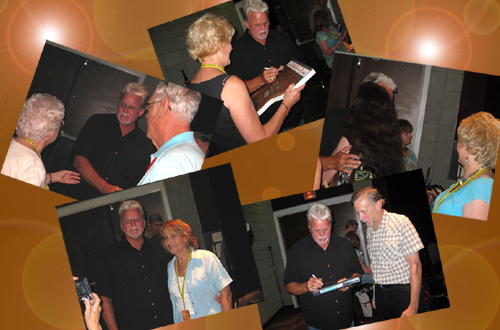 Another opportunity to spend time with his fans that have been so loyal to him and his music over the years! And these two lovely little ladies were so happy to be the first in line to get a picture with Con! 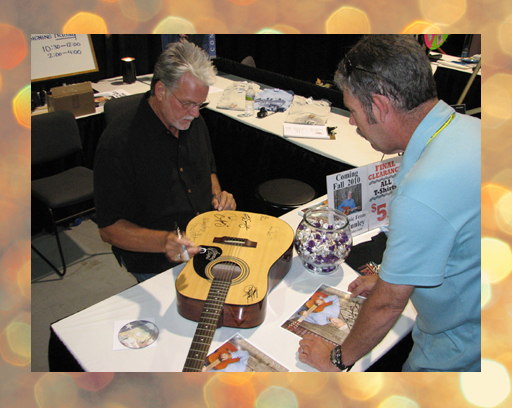 This is a slightly shorter day at the booth for Con as he heads upstairs in the Convention Center to play a few songs at the Durango Acoustic Corner. Con enjoyed the Acoustic Corner. He was happy to have his bass player, Burton Akers sit in with him. 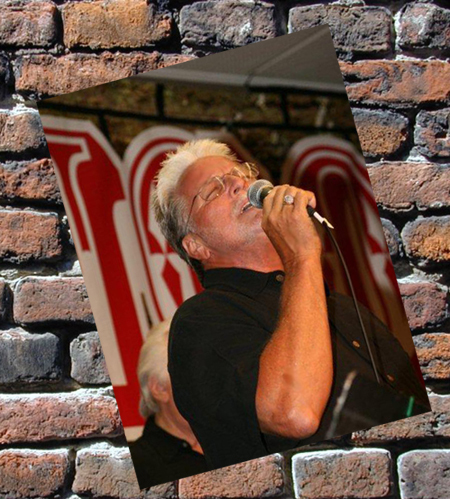 Also accompanying him were some Nashville greats: Jimmy Capps on acoustic guitar, Hoot Hester on fiddle, drummer Mark Beckett and steel guitarist Mike Johnson. Here Con stops for a few moments with fans after leaving the stage. Con ran into a few other friends in the artist area. 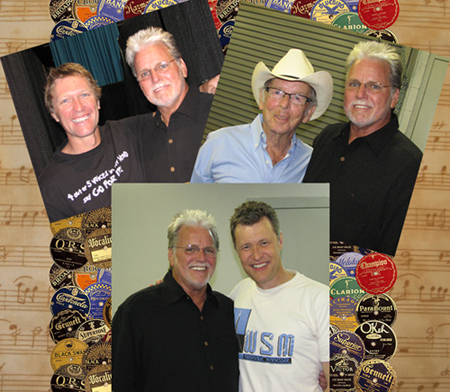 He is pictured with friends Bill Cody (bottom photo), Craig Morgan (top left), and Charlie Louvin (top right). Con was pleased to run into Charlie and spend a few moments with the legend. As many of you know, Con has been working on a new album and on that album he recorded his version of the Louvin Brothers classic "When I Stop Dreaming". Con fans will love it! 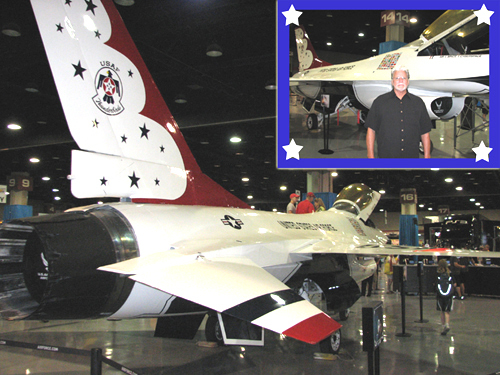 In the Convention Center Fan Fair Hall this year an Air Force Thunderbird airplane was on exhibit, so as Con was leaving he wanted to check out this beauty. Con served in the U.S. Air Force during the 60's as an Aircraft Hydraulics and Pneumatics Instructor....these beautiful machines still amaze him! 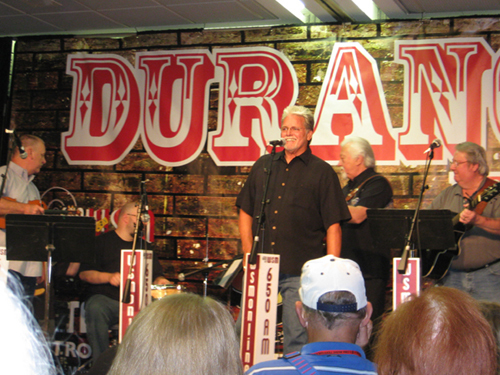 That's it for the second day of CMA-Fest 2010! Be sure to check out tomorrow's Fan Fair pictures!